I’ve written before about the substantial savings available to businesses that adopt electric vehicles (EVs). This week a new study from the Transport Research Laboratory, sponsored by British Gas, has hammered the point home. It found that any business running a large fleet of vehicles – from delivery vans to company cars – can make worthwhile financial gains even by moving just a small proportion of vehicles over to purely electric propulsion. The report cites annual savings of £350,000 for the average UK fleet if it switches just 10% of its vehicles from fossil fuels to electricity, alongside CO2 reductions of 5%. The cost savings arise in a number of ways, most notably from the difference in price between highly taxed road fuel and relatively lightly taxed power from a socket. The extraordinary simplicity of an electric motor versus the high-precision mechanical complexity of a modern engine also brings savings in servicing, while even electric car insurance tends to be more reasonable. The intractable HMRC is responsible for the vast bulk of the fiscal advantage, however. 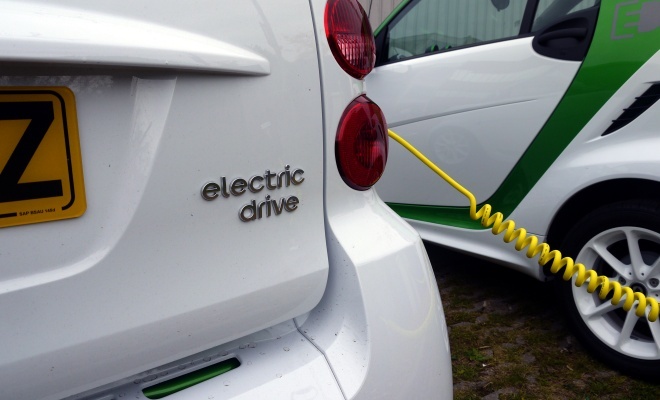 Electric vehicles attract very favourable capital allowances – tax breaks for corporations – as well as a zero rating for Class 1A National Insurance contributions and Benefit in Kind (BIK) taxation. Escaping liability for BIK means that employees who choose an EV rather than a petrol or diesel car can feel substantially better off than they otherwise might. 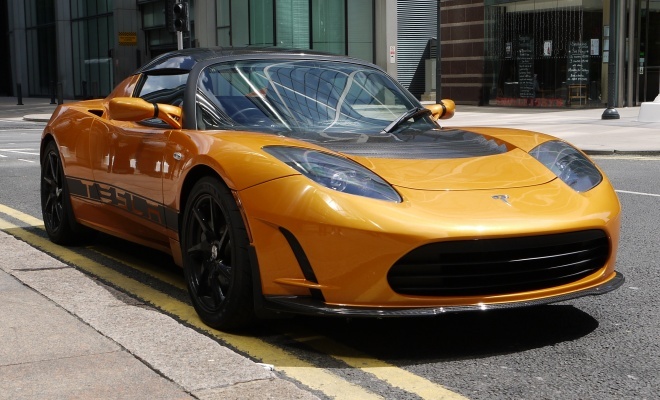 The most high-profile incentive for electric car adoption – the £5,000 Plug-in Car Grant – actually makes a relatively small contribution to the attractiveness of electric cars to companies and employees. It’s the tax arrangements that can make really big differences, so much so that highly paid executives interested in going electric would be well advised to consider purchasing their EV through a salary sacrifice arrangement. I hear that quite a number of Telsa Roadster sales have been arranged in this way, with a company purchasing the car and “gifting” it to an employee in lieu of a bonus or other cash payment. With the top rate of income tax currently sitting at 50% and the gift of an EV taxed at a nicely round zero, it is simple to see why this might make sense for the kind of highly paid individual I would like to be but unfortunately am not. If you were in the market for a £100,000 sports car in any case, arranging to get a Tesla as a bonus could save you £50,000. That’s a dodge that most definitely won’t work if you have a hankering for a Porsche. What the new British Gas report doesn’t underscore, however, is that this advantageous situation won’t stay so favourable for ever. The corporation-tax breaks for electric cars and vans are due to end on 31 March 2013, while the BIK and NIC arrangements will be rescinded from April 2015. EVs will still offer savings for many even after the tax breaks have been removed, but the outcomes will no longer be so overwhelmingly positive. So if you happen to be a highly paid person with an eye on an electric car, don’t spend too long thinking about it.